Customers who fork out for high-speed broadband are often left with disappointing download speeds, according to new research. Analysis from consumer researchers Which? shows those who buy fibre broadband expecting to get speeds in excess of 30Mbps are most often let down. Fibre broadband is normally sold in two varieties: up to 38Mbps and up to 76Mbps. But speed checker data shows a huge gap between expectation and reality. There are a number of reasons why broadband speeds can be slower than what was advertised. If there are more people sharing a connection at peak times, like before and after work, broadband speeds can suffer. 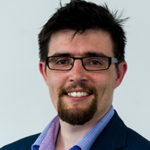 Part of the problem is that broadband, despite being sold as ‘up to’ a certain speed of connection, can vary wildly depending on how many fibre broadband lines are being used in your nearest green street cabinet, and your own distance from the exchange. MoreCan I use home broadband for my business? Fibre broadband – again, those ‘up to 38Mbps’ and ‘up to 76Mbps’ deals – is not in really made up of solely fibre-optic cables all the way from your ISP into your home. If it were, it would be extremely fast as data travels at the speed of light down fibre-optic. But the last part of the journey between the green street cabinet and your home relies on 120-year-old technology: copper wires. Fully fibre-optic is now being sold as “full-fibre” to make the distinction. Full-fibre broadband or fibre-to-the-premises (FFTP) can achieve speeds up to 1Gpbs or 1,000Mbps but is only available to around 2% of the population. It’s mainly sold by much smaller boutique broadband providers like Hyperoptic and Gigaclear who can install complete networks around much smaller areas like tower blocks and rural villages. Which? found that the gap between expectation and reality gets worse the faster broadband package people buy. If you are sold a deal that promises up to 38Mbps, you would reasonably expect – at least some of the time – to get 38Mbps download speeds. But independent speed checking apps – such as Ookla show a different story. 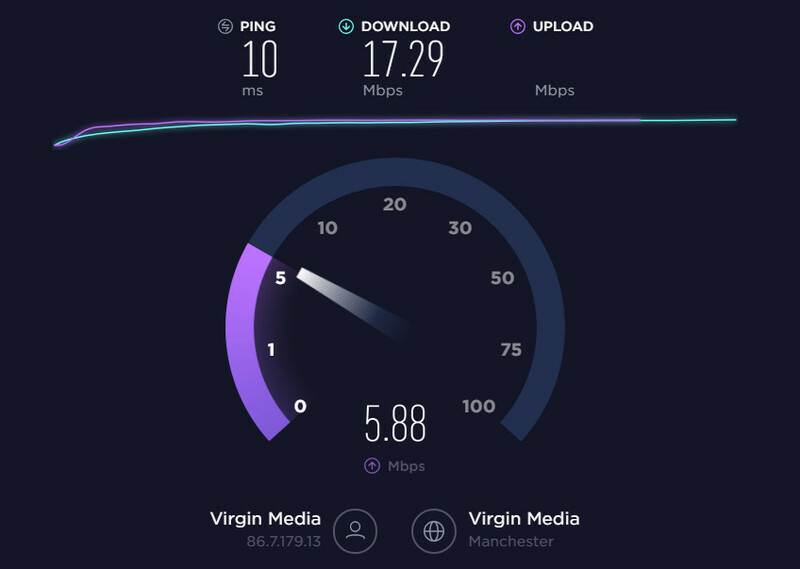 The below is an image taken from a speed test of a Virgin cable broadband connection in Manchester city centre, at 5pm on a Tuesday evening. The package, sold as ‘up to 76Mbps’, achieves just 15Mbps downloads and regularly falls below 10Mbps. MPs have been having fiery debates on why broadband providers in the UK are still allowed to sell packages with broadband speeds that most customers will never get. Plans to change the law are afoot, but it is slow going. Lawmakers would be wise to following the example in Germany, where the government has proved it is possible to get ISPs to only sell broadband based on speeds that most customers can actually get. On the continent the law has changed to say that ISPs are only allowed to advertise the minimum, normal and maximum speeds that customers can expect. MoreGermany just fixed broadband speed lies, so why can’t we? If their customers do not get 90% of the maximum broadband speed at least once, or their connection falls below the normal speed more than 10% of the time, German ISPs can be fined or reprimanded. Not so (yet) over here. Customers are being urged to use reputable speed checking software and to keep a record of their results should they ever want to challenge their ISP or switch providers. Alex Neill, Which? Managing Director of Home Services and Products, said: “People who think they have signed up for faster broadband speeds are the most likely to be disappointed, with our research showing many are generally getting speeds that are much slower than they expected. Ironically people buying cheap standard broadband, usually sold as ‘up to 17Mbps’, are much happier that fibre broadband customers. Those who expected speeds of less than 10Mbps – perhaps those in rural areas with fewer options or those people who retain a healthy cynicism about the market – were more likely to be impressed with the speed they got. The government is currently consulting on a Universal Service Obligation to say that everyone in the UK should get at least 10Mbps for broadband, which makes a decent internet connection essentially a human right.